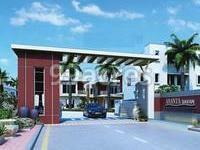 What is the project location?The project is located at Waghodia Road, Vadodara. What is the total area of Ananta Savan?The project spans across 3.44 Acres. When is the possession of Ananta Savan expected?The project is slated for delivery in Dec 2019. How many units are there in Ananta Savan?There are 122 units available in the project. Does Ananta Savan have gym? Yes the project has a gym. What is the approval status of loan from Ananta Savan? 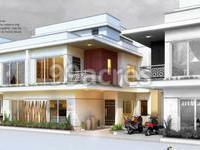 ICICI, Allahabad Bank and 1 more banks have approved the project for home loans. Ananta Builders was founded in 2009 by Nilay Chotai and has since evolved into a leading name in the construction business. Their aim is to build a top-notch real-estate development company that exhibits the highest standard of quality, professionalism, ethics and customer service. Their mission is to envision, design and construct innovative properties with great personal and professional pride and establish Ananta among the leading real estate companies of Vadodara. Their strength lies in their architecture, planning and striking aesthetics. They specialize in apartments, penthouses, bungalows and have successfully launched and completed several residential projects till date. Some of their past projects include Ananta Shubharambh, Ashtha which are spread across the prime locations of Vadodara.